In a medium pan saute peanuts and slightly dry roast them for 2 min on medium heat. 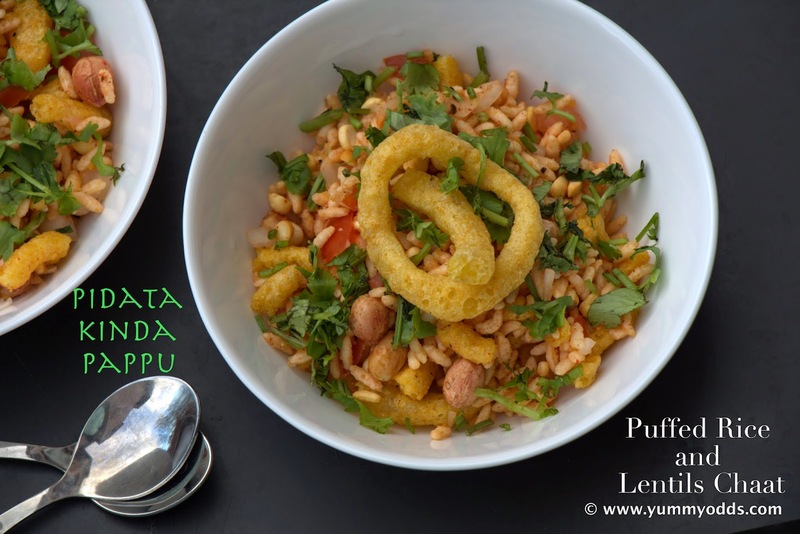 Take a wide bowl, add Puffed Rice, Roasted Peanuts and Roasted Gram Dal. Mix them well. Now add Salt, Red Chili Powder and Coriander Powder to the mixture gently mix with lentils with your hand to coat lentils with spices properly. Now add chopped onion, tomato and mix gently. Juices from tomato makes the mixture little wet. Now add Lime juice to the mixture and fold the mixture from up side down gently. Finally add some sev or Funyuns rings to the mixture. Transfer this mixture in serving bowls and top with some more sev or onion rings, Garnish with some cilantro. 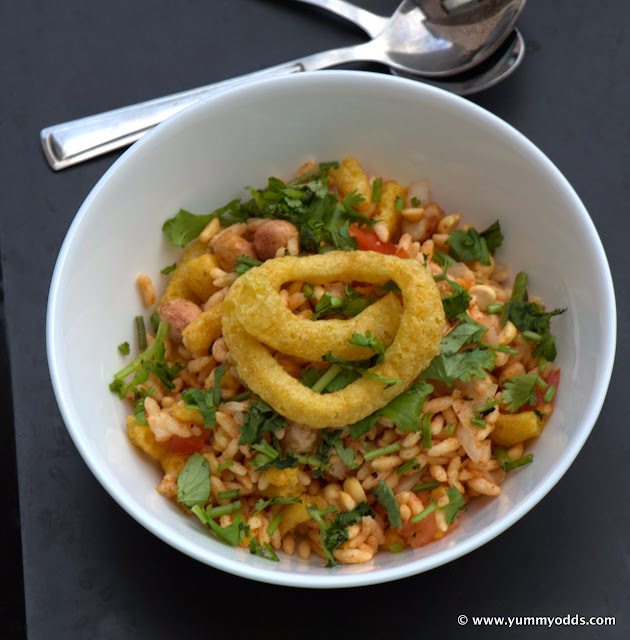 Now the yummy, healthy and colorful looking Chaat Snack is ready! If you excuse me now, my coffee is calling me to have it along with this Zakas Chaat! Happy Cooking until we meet here again!